Preparing for the "Japanese Language Proficiency Test"? Want an additional study tool? Want to brush up your Japanese vocabulary? Then this little quiz is for you. 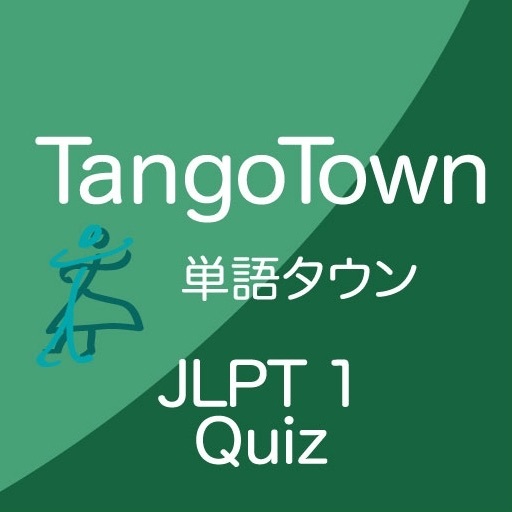 The developers of TangoTown have created a series of graded quizzes specifically for people preparing for the JLPT. Designed as an additional tool to help you test yourself, these quizzes are level checked specifically for the target level of JLPT. This quiz is for the advanced level JLPT 1. Test content will be updated from time to time. This simple quiz game is to help people prepare for the Japanese Language Proficiency Test - the JLPT. This has the appropriate graded vocabulary and testing in a variety of ways is possible. For words that has kana and kanji only enter the kana for the part that is relating to the kanji. ie for kun-yomi, only input kana until the last kanji. The Japanese Language Proficiency Test (日本語能力試験, nihongo nōryoku shiken), or JLPT, is a standardized test to evaluate and certify the language proficiency of non-native Japanese speakers. It is held once every year, on the first Sunday of December. The JLPT has four levels beginning at level 4 and progressing to level 1 - the most difficult. TangoTown is a well known brand for Japanese language learning on mobile phones in Japan by Enfour, Inc - a Tokyo based mobile phone software company. First launched in 2002 on all three Japanese mobile phone carriers, TangoTown has spread to other countries and other platforms. Many hundreds of thousands of people have used TangoTown to improve their Japanese communication, improve test scores, to get out of trouble, to make friends, decipher a food menu or street sign. The full service of TangoTown is available in Japan only for a monthly subscription of ¥315 per month on all three mobile phone carrier official English menus. TangoTown is a complete reference tool for learners of Japanese with dictionaries, phrasebooks, learning tools and multilingual translation tools. Fixed bug with "Pass" button.